Muddy says: A family-friendly coastal pub with a fun beer garden, smokehouse, micro brewery and honest pub grub. What more can you ask for? 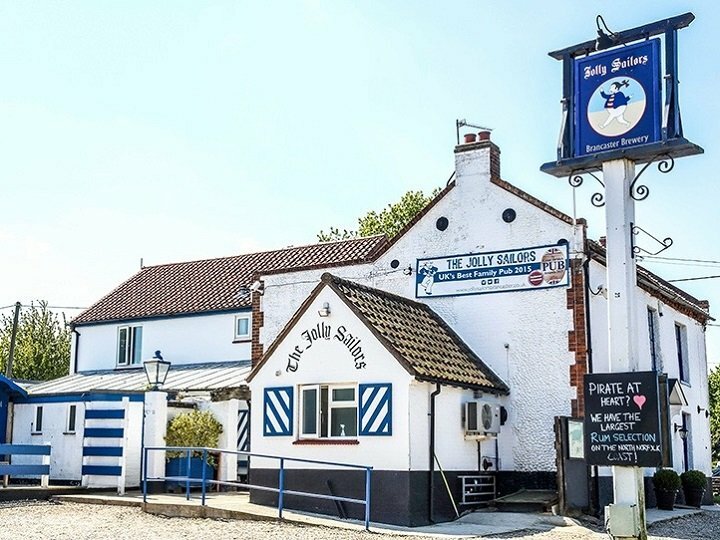 The Jolly Sailors is a traditional, 18th century pub situated in the picturesque village of Brancaster Staithe in the heart of scenic North Norfolk. 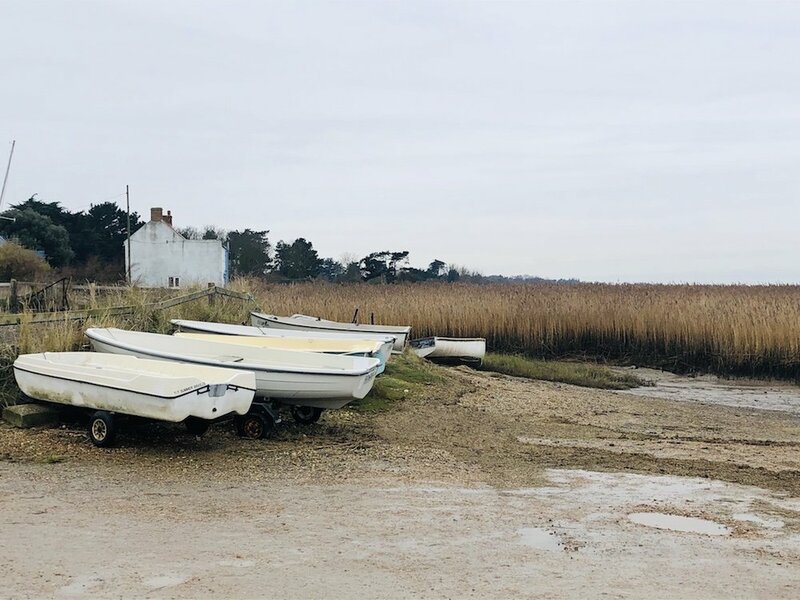 Not far from the beach and just off the Norfolk Coastal path – this is a beautiful part of the coast to stop for refreshment. Very much a local’s pub – that’s not to say visitors are eye-balled at the door rather you’ll get a hearty welcome and if you’re lucky a Fisherman’s tale or two. Decor is traditional and full of character – white-washed walls, low beamed ceilings, wooden tables and chairs and lots of nods to the local history. 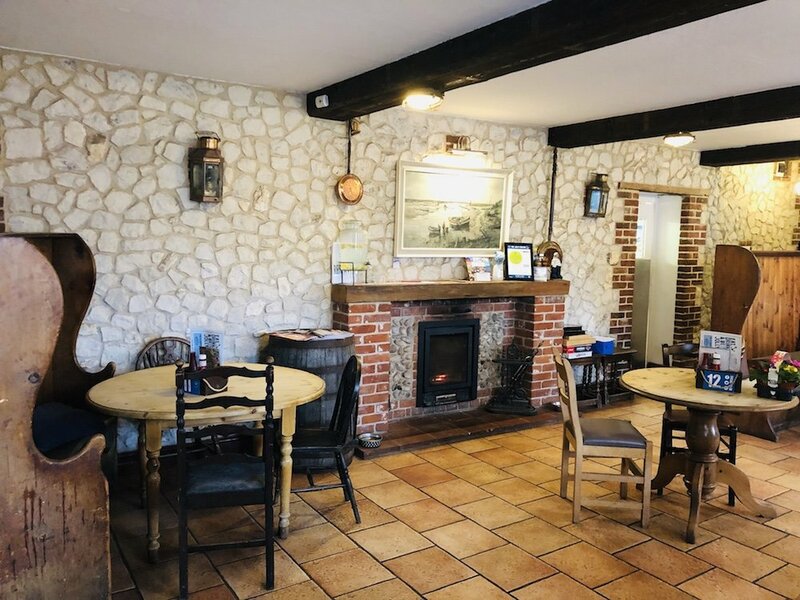 The pub is divided into four areas; two cosy bars, a tv/darts room, which transported me back to my childhood sitting with a bottle of pop and a bag of crisps and an events/dining room perfect for larger parties. This is a great place to refuel and food is clearly a priority in this award winning pub. Thankfully they’ve kept it simple with good honest pub grub – scampi and chips anyone? If you’re en mass – they serve home made stone-baked pizzas perfect for feeding the five thousand. 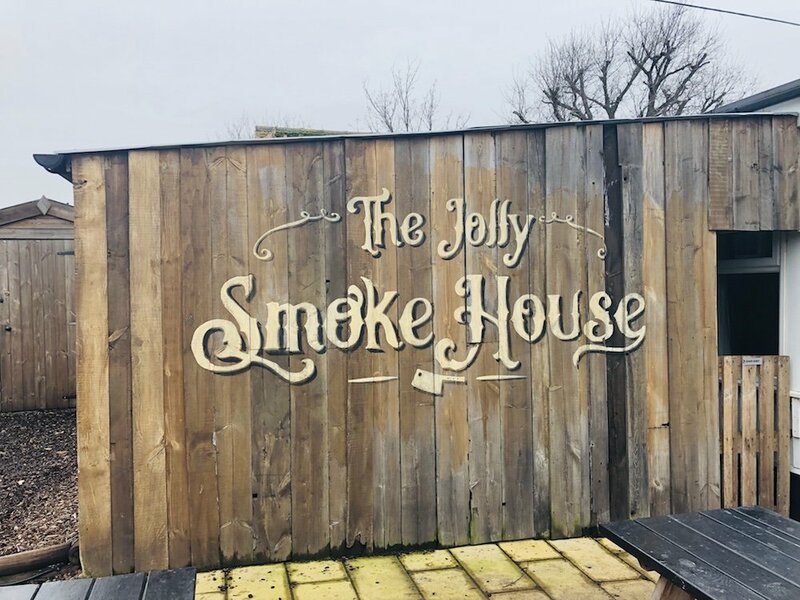 Or if you fancy sampling the local seafood caught less than a few hundred yards away – check out the smokehouse in the back garden! 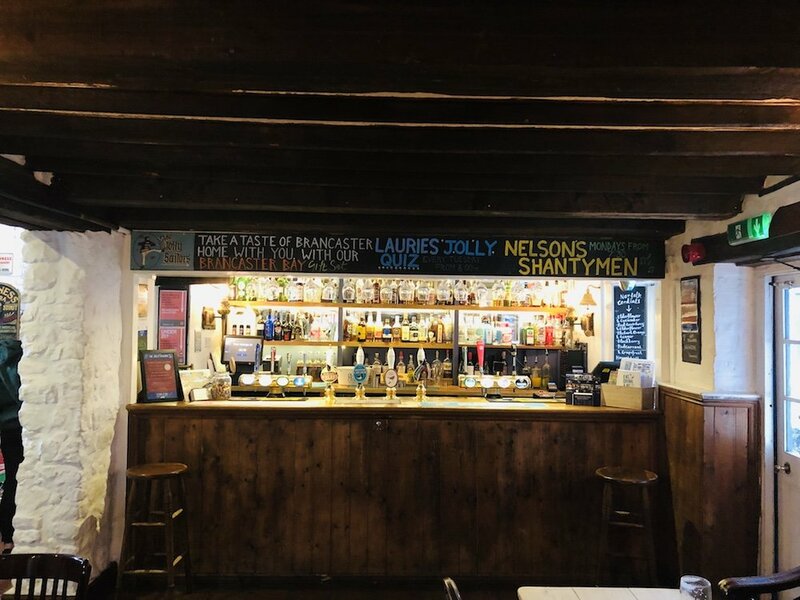 Wash it all down with an ale from the pub’s own Brancaster Brewery or if rum’s your tipple of choice, The Jolly Sailors has the best selection on the North Norfolk coast. 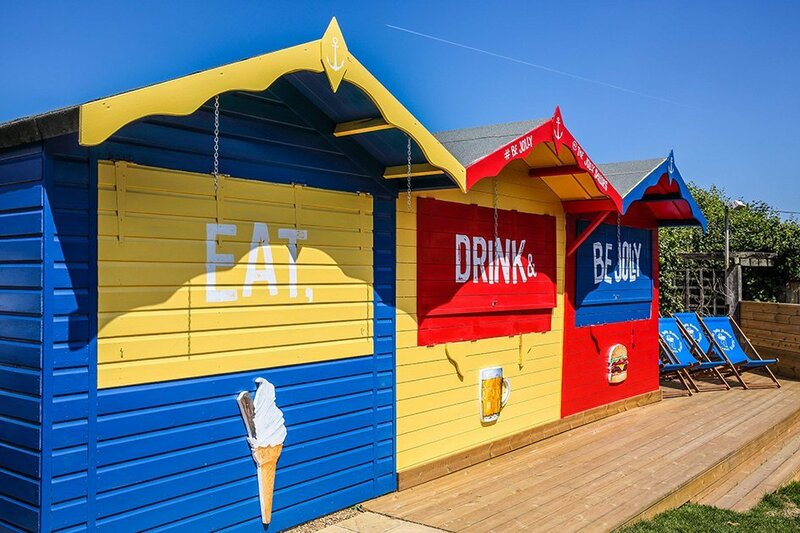 The beer garden is fun with brightly-coloured beach huts, lots of seating and a great playground to keep the kids occupied. There’s even an ice-cream hut in the summer. Lots of ‘jolly’ good events throughout the year – quizzes, comedy nights and the annual music and ale festival. It’s well worth checking out the site if you’re planning a visit. Plus, if you’re just passing through or renting a cottage nearby – they have a take away menu too!